Home / Editor's Choice, Entertainment News, Featured Articles, Gossip and Drama, News / 500 husbands will be available for LADIES! Nigerian PASTOR announces his 4 day miracle conference in Nairobi (PHOTO). 500 husbands will be available for LADIES! Nigerian PASTOR announces his 4 day miracle conference in Nairobi (PHOTO). 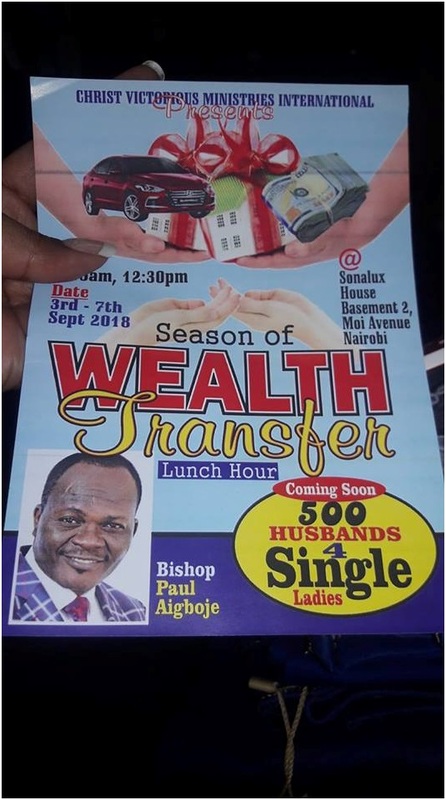 Monday, August 3, 2018 - A Nigerian pastor, who preaches the prosperity gospel like the Kiunas, has caused a stir after he hyped his 4 day miracle conference in Nairobi with crazy promises to those who will attend. The charismatic pastor announced that 500 husbands will be available for single ladies. There will also be a miraculous wealth transfer to those who will attend the 4 day miracle conference at Moi Avenue. 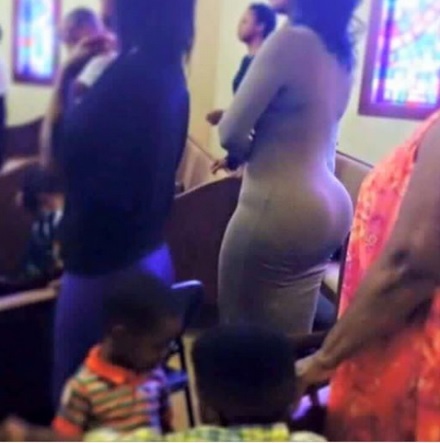 These daddy and mummy pastors are becoming too much.